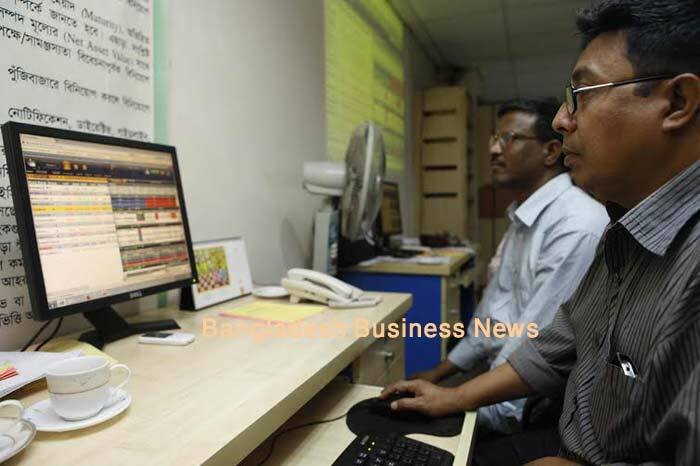 Dhaka, Bangladesh (BBN)-Bangladesh’s stocks witnessed mixed trend at midday as DSE remained positive while CSE nosedived on Monday, the second trading session of the week. 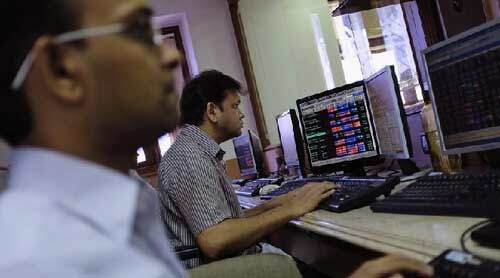 Dhaka Stock Exchange (DSE), the prime bourse of Bangladesh, began the day with positive trend and maintained the mood after two hours of trading while the Chittagong Stock Exchange (CSE), the port city bourse of the country, could not retain the trend upward trend of the morning and plunged. The key index of Dhaka Stock Exchange gained 7.23 points while the selective category index of Chittagong Stock Exchange dropped 5.37 points when this report was updated around 12:50pm. After over around two hours of trading, DSEX, the prime index of the Dhaka Stock Exchange, stood at 4,587.79 points adding 7.23 points or 0.15 per cent at 12:51pm. However, the DS30 index, comprising blue chips, also ascended 4.19 points or 0.24 per cent to reach at 1,764.76. The DSE Shariah Index (DSES) also advanced 3.50 points or 0.31 per cent to reach at 1,125.77. Turnover on DSE stood at BDT 2.49 billionwhen this report was updated at 12:51pm. Of the issues traded till then, 95 advanced, 154 declined and 61 issues remained unchanged. Bangladesh Steel Re-Rolling Mills Limitedwas remained the most traded stocks till then with shares BDT 3.22 million changing hands followed by Beximco Pharma, Square Pharma, Bangladesh Steel Re-Rolling Steel Limited, United Power Generation & Distribution Company Ltd and Olympic Industries. The port city bourse – the Chittagong Stock Exchange – (CSE) witnessed negative trend after over two hours of trading as its Selective Category Index – CSCX – dipped 5.37 points to stand at 8,593.72 at 12:48pm. Of the issues traded till then, 61 gained, 119 declined and 39 issues remained unchanged with a turnover value of BDT 139 million.